When it comes to coal processing, our operators at RPM Solutions bring a deep wealth of mining and machining experience to every project. 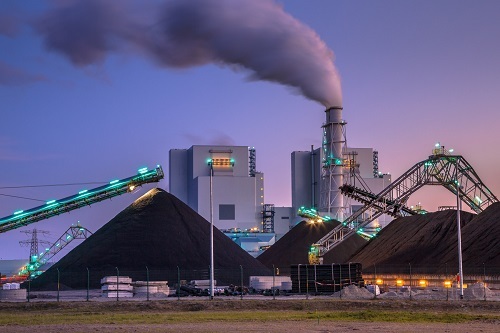 Coal processing is where raw coal from the mine is cleared using different physical processes, with or without any chemical reagents, to get a product which can be sold in the market or can be used for different purposes such as power generation. Once the coal has been mined it needs to be processed. First, the coal goes to a preparation plant where it is washed or cleaned to remove contaminants. The cleaning removes impurities like rock, ash, sulfur and other substances. A high amount of rock and clay particles reduces the quality and heating value of coal and usually means a lower price for coal. Some coal is crushed and mixed with water and transported through pipelines. Coal processing involves crushing, screening and beneficiation. Processing is where coal is converted from run-of-mine (ROM) coal to a product that meets the customer’s requirements. Mined coal can include lumps. Crushing to a manageable size is required. Coal crushing can include a two stage process, dependent on deposit size. Coal is crushed in a feeder breaker, a chain conveyor that breaks the biggest lumps. Coal size is further reduced through a sizer. Screening is used to separate different sizes of crushed coal. In this process, coarse and fine coal is separated to accommodate specific markets and industrial usage. Screened coal is ideal for burning in horizontal kilns. Coarser coal is required by customers who burn coal in grate-fired applications. During beneficiation, coal is processed to remove impurities, reducing ash and Sulphur, thereby improving the market value of the coal. Beneficiation can improve the quality of contaminated coal that would otherwise be wasted. Most cleaning processes involve washing coal in order to separate coal particles from stone particles. Coal can be charred, a process wherein hydrogen and oxygen are removed from coal to make it a purer form of carbon.